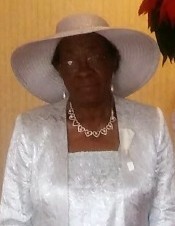 Mrs. Ethel Mae Belton was the beloved daughter of the late Mr. and Mrs. Charlie Robinson. Ethel was born September 26, 1930 in Kershaw County and departed this life on Wednesday, August 15, 2018. “Aunt Ethel” as family and friends affectionately called, was educated in the public schools of Kershaw County. She was a dedicated employee and retired from the Richland County Public School System. Ethel was a loving mother, grandmother, wife, sister, daughter, aunt, and friend who would be greatly missed by all those who loved and knew her. Though she is no longer with us physically, her loving and kind spirit will forever live in the hearts of all who loved and knew her. Ethel is preceded in death by her devoted husband, Mr. Willie Belton; her loving parents, Mr. and Mrs. Charlie Robinson; her daughters, Estelle Belton and Viola Dean. Those who will cherish fond and precious memories of Ethel are her four loving children, Willie Belton Jr. of Pontiac, SC, Clarence Belton of Clinton, MD, Frances Belton of Pontiac, SC, and Patricia Sims of Columbia, SC; host of grandchildren, nieces, nephews, cousins, other loving family and friends, all of whom join the family in sharing the grief caused by her departure, but rejoice that she is resting with the Lord.